The artist’s name is on the card, Poyntz Wright but no printer or publisher is identified. 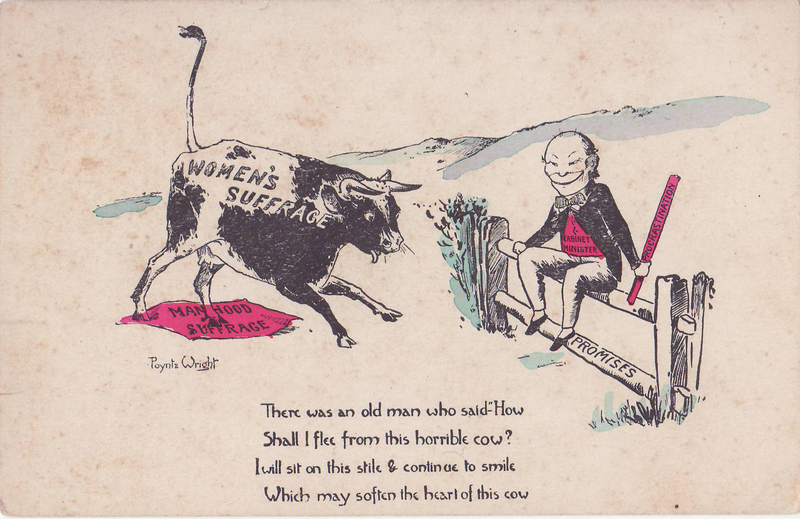 The card was published by the Suffrage Atelier. It features on one of the broadsheets that was used by customers who wanted to order cards from the group. A copy is held at the Museum of London and the sheet is dated as 1913. 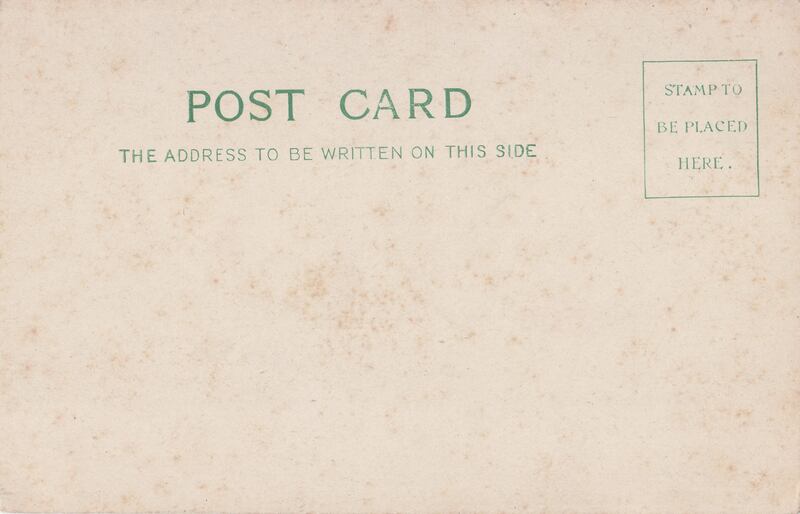 The postcard can also be seen as a colour poster although the text on the poster is much bolder. The write up states that the limerick is an adaptation from Edward Lear. The original limerick and sketch can be seen at this site which has all of the limericks from The Book of Nonsense – the author of the site explains the different editions, etc. This limerick is number 72 and only the word ‘this’ (replacing ‘that’) has been changed from the original Lear work. Interestingly, limerick number 80 was used in another Atelier card, ‘The Growing Movement’ (There was an Old Man who said ‘Hush!…).